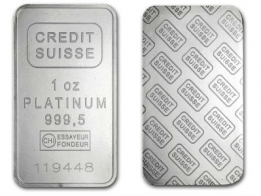 Buy platinum bars manufactured by Credit Suisse. 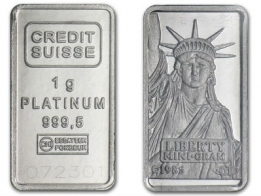 Credit Suisse platinum bars are very popular with precious metals investors - these bars are sold at a low premium over the market price. 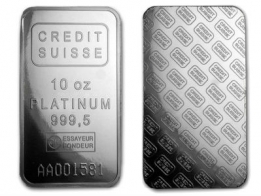 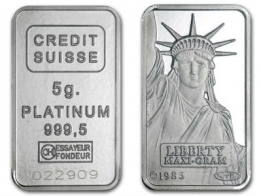 Credit Suisse platinum bars are available in different sizes, including 1 gram, 1 ounce and 10 ounce sizes.